Ms. Berman has been with the firm for 34 years. During that time, she has represented buyers and sellers, landlords and tenants, borrowers and lenders, investors, brokers, developers and consultants in a wide variety of commercial and residential real estate transactions. She has significant expertise in all aspects of leasing transactions, including office, retail and industrial. She also leads the team which represents the firm’s largest client, a major Florida landowner, and has handled several significant transactions for the purchase and sale of real estate, including several 1031 transactions. 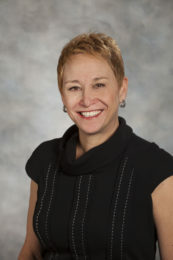 In addition, Ms. Berman is involved in a number of professional and civic organizations including Commercial Real Estate Women (CREW) of which she has been a member since 1996 and has served on the Board of Directors and chaired and served on a number of committees over the years. She presently serves on the 2019 Host Committee for the 2019 National Convention to be held in Orlando, Florida. In addition, she serves as a member of the Board of Trustees and the Executive Committee for the onePULSE Foundation, and chairs the Design and Construction Committee tasked with designing and constructing both the Interim Memorial and the Permanent Memorial and Museum. Dean Mead’s Commercial Leasing Seminar: “Success Tips You Can Use to Master the Art of Negotiation”, September 19 and September 25, 2013 in Melbourne and Orlando, Florida. Institute of Real Estate Management (IREM) on “Protecting Owners from Liens and Liabilities”, 2012 Florida Legislative Update, September 11, 2012 in Melbourne, Florida. Ms. Berman is on the Board of Trustees for the OnePULSE Foundation. View their "We Will Not Let Hate Win" video dedicated to the 49 lives that were taken, the 68 injured victims, the affected survivors and the first responders and healthcare professionals who cared for the victims.